Art, History and the Outdoors in Toronto Ontario Canada! In the heart of Ontario Canada is the city of Toronto, buzzing with energy and excitement. Whether you choose to spend the day on the water, in the market or touring the ROM; make sure you see one of all of these BBOnline picks while visiting your favorite Toronto Canada bed and breakfast! 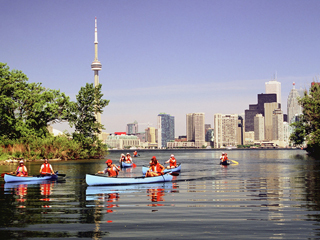 Toronto Island Park is the perfect afternoon escape! Picturesque views of the Toronto skyline opposite Lake Ontario invite you to spend the day outdoors. In addition to water activities such as canoeing and paddle boating, visitors can also bike around the lake, play tennis and volleyball. Toronto Island Park also features the historical Gibraltar Point Lighthouse, which was built in 1808 and is cited as the Great Lakes' oldest lighthouse. To get to Toronto Island Park, you will need to take a ferry from the dock at Queens Quay West. Ferry schedules are seasonal, so check before you go to the dock. Fares are round trip. Adults $7; seniors and students $4.50; children aged 2 to 14 $3.50; children under 2 FREE. 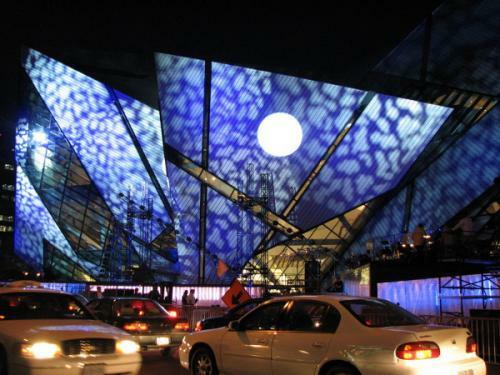 Step inside the Royal Ontario Museum and be transported back in time to Mesopotamia and other Ancient Civilizations. A favorite with locals and visitors alike, the Royal Ontario Museum or ROM for short, was established in 1914 and features exhibitions and galleries including natural history, archaeology, sculpture and painting. One of the most impressive attractions is the grand Mosaic Ceiling of the Rotunda in the entrance hall which represents early cultures of the Mediterranean, Asia, Middle East, Europe and the Americas. The ROM is open Saturday through Thursday from 10am to 5:30pm and with extended hours on Friday from 10am to 8:30pm. General admission is $16 adults; $14.50 seniors and students; $13 children aged 4 to 14; and children under 4 Free. There is an additional admission fee for some featured exhibits and you should check with the ROM for details. National Geographic awarded St. Lawrence Market in Toronto top honor as the World's Best Market and when you step inside you will see why. 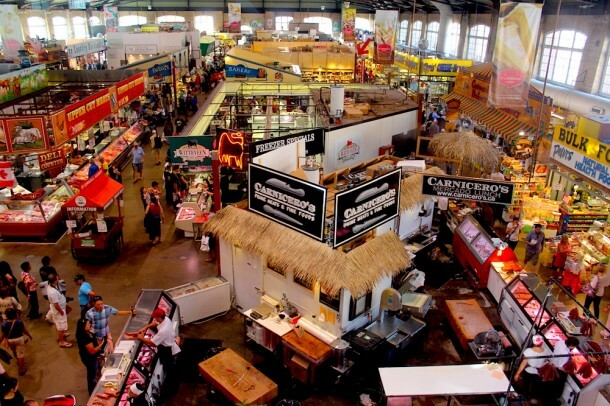 St. Lawrence Market has something for everyone from artisan baked goods, specialty foods, cheese and organic produce items to art and antiques. There are more than 120 vendors at the market and it is a great place to spend the day, get a bite to eat and discover that one of a kind item to take home from your visit! The St. Lawrence Market is divided into three distinct sections. The North Farmer's Market is open on Saturdays from 5am to 3pm. The Antiques Market is open on Sunday from dawn to 5pm. The South Market is open Tuesday through Thursday from 8am to 6pm; Friday 8am to 7pm and Saturday 5am to 5pm.